Food & Nutrition: Let’s Preserve Tomatoes! Continue harvesting crops. 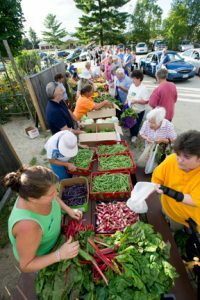 Donate excess produce through the Maine Harvest for Hunger program. For more information, please visit Maine Harvest for Hunger. Watch the weather; if there is a chance for a frost, then take steps to protect your plants. 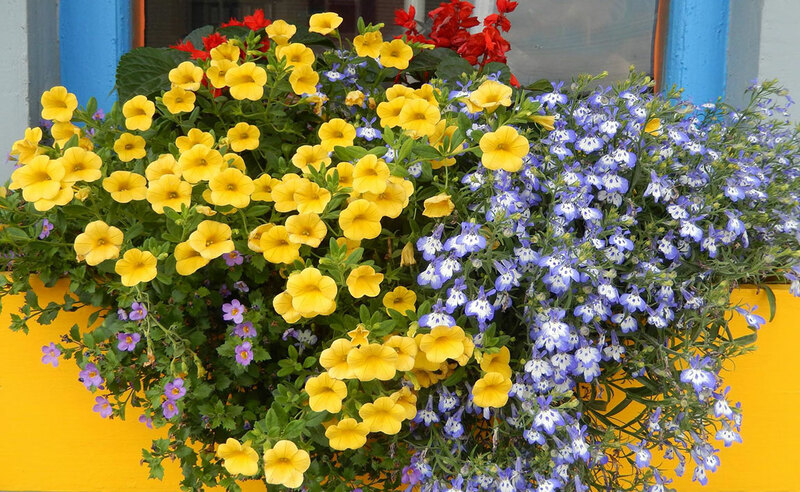 Bulletin #2752, Extending the Garden Season describes methods that you can use to help protect your plants from the cold and extend our short growing season. Pull weeds. Dig up biennials in their first year. Don’t let annuals go to seed. Do a soil test … and if the results indicate the need for lime and manure additions, September is the time to apply those amendments. For more information on soil testing, see Bulletin #2286, Testing Your Soil. For safe manure practices, see Bulletin #2510, Guidelines for Using Manure on Vegetable Gardens. For more information on soil organic matter, see Bulletin #2288, Soil Organic Matter. Plant a winter cover crop. If you live in one of the northern Maine counties, September 15 is the typical last date for planting a winter cover crop. If planting a cover crop is not an option, use organic mulch, such as straw or leaves to protect the soil from winter winds and precipitation. Mulch will also add nutrients to the soil and build organic matter. For more information see Cover Crops and Green Manures by Vern Grubinger of UVM. Clean out plant debris left in the garden. 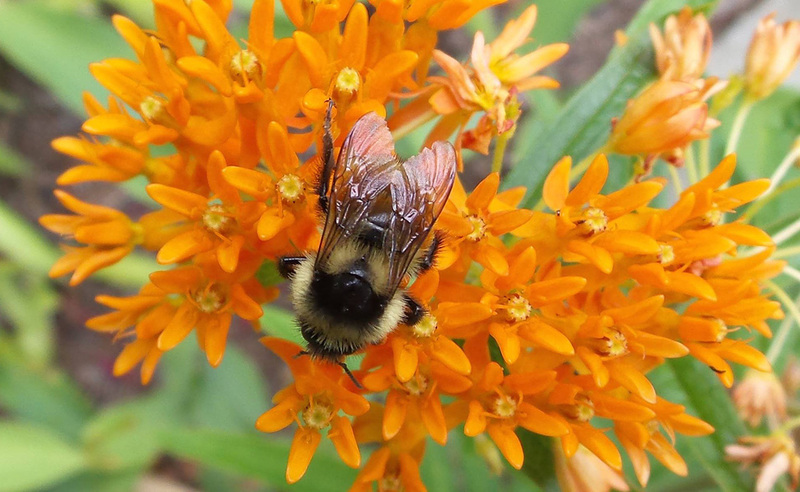 This can help reduce insect and disease populations by eliminating their overwintering sites. Review the year. Which vegetables were high producers? 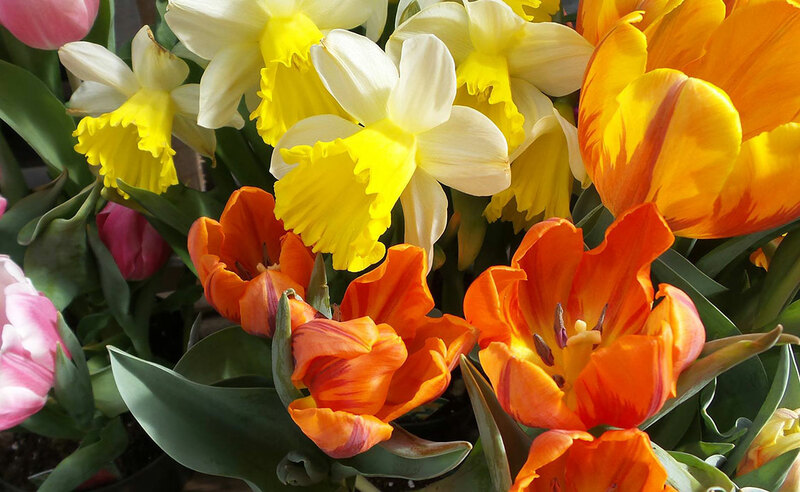 What plant varieties were your favorites? List your successes and failures. List your disease and insect pests. Brainstorm a plan for next season. Take pictures and add to an electronic garden journal or calendar. Pictures will help your remember the good and bad of the season. 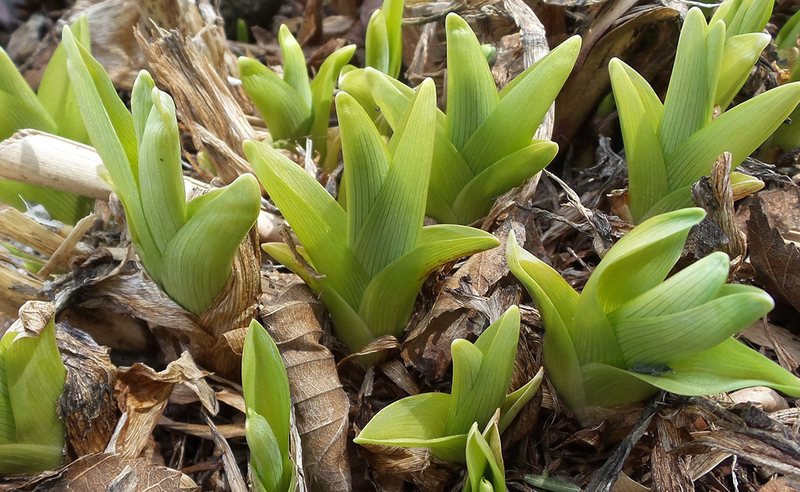 Dig up bulbs that are not winter hardy like cannas, gladiolus, and dahlias after the foliage dies back. Clean the bulbs before storing. Store for the winter in peat moss or dry sand in a dark location that is ventilated and cool, but above 40 degrees Fahrenheit. I planted out my lovingly-cared-for, heirloom tomato seedlings and within two days fifteen of the plants had been denuded. This seemed very odd as the foliage of tomatoes is not considered to be all that attractive as a culinary delight, but perhaps the tenderness of the leaves could not be resisted. Then the evidence became abundant as to who the guilty party was. About five days after the loss of the tomatoes, a burrow was discovered in the dirt portion of the basement. Then the lettuce bed was raided. What is a gardener to do? 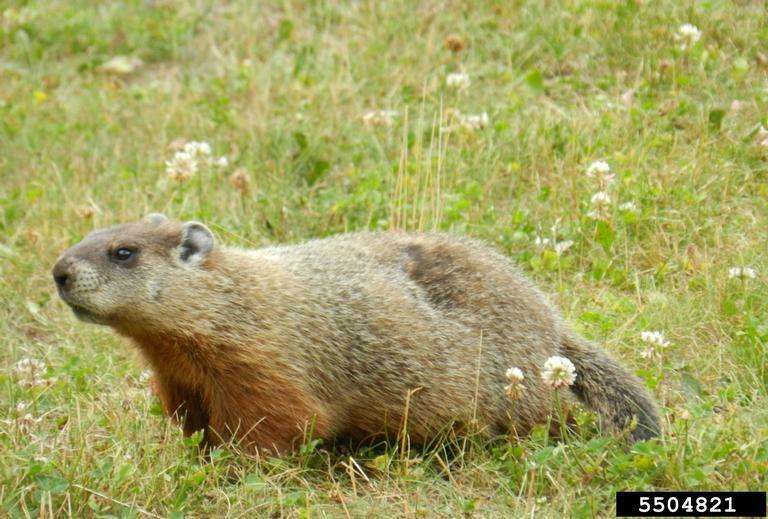 Woodchucks (Marmota monax), also known as groundhogs or Whistle pigs, are the largest species of the marmot family. They are widely considered to be pests in the garden. It is important to remember even woodchucks serve a purpose, beyond telling us how many more weeks of winter there will be. In the ecosystem, they provide an important food source for fox, raptors, and other larger Canidae. Their burrows provide shelter for amphibians, reptiles, and smaller rodents. In Maine, the life cycle of woodchucks begins when the adult males emerge from their burrows between February and March. Towards the end of March the adult females emerge and breed within 2-3 weeks. Woodchucks do not mate until they are two years old. The young pups will emerge after they have been weaned, usually in June. Adult woodchucks will go underground near the end of September, while the pups spend another month eating and storing fat before they, too, go underground. Woodchucks are highly intelligent and clever animals, however they do startle easily. There are various methods for dealing with woodchucks and for discouraging them. The easiest remedy to protect your gardens is to erect a simple fence. Surprisingly, woodchucks are good climbers, so your fence should be at least 3-4’ high. It would also be advisable to not secure the top 12” of the fence making it wobbly and more difficult to climb. The holes on the fence should be no larger than 3” and have an L-footer base that is buried or pinned to the ground. If you build a rigid fence, bend the top portion outwards at a 45-degree angle to prevent climbing. Electric fencing four inches off the ground will also prevent woodchucks from getting into the garden, but be certain to follow installation instructions accurately. Scare devices such as motion sensor water sprinklers are pricey, but can be effective. Other choices are aluminum pie tins, and any other shiny or especially noisy object that can sway with the wind and frighten the animal. Woodchucks will adapt quickly to these devices, so move them often to keep the woodchuck wary. Surrounding the burrow entrance with smells that the woodchuck finds offensive may help. This would include garlic and fox or coyote urine. Again, this sly creature can adapt to these smells as well. A gardener can also employ habitat modification. Woodchucks like to navigate in high vegetation, so if you suspect a burrow is in such an area, then mow the area. This lessens their sense of security and they may abandon the burrow. Do not attempt to close a burrow early in the spring, which may trap young pups. Woodchucks have extensive burrow systems and there may be as many as five entrances to their dens. Do not simply fill the hole, for they will re-excavate. There are serious implications in the live capture and relocation of woodchucks. 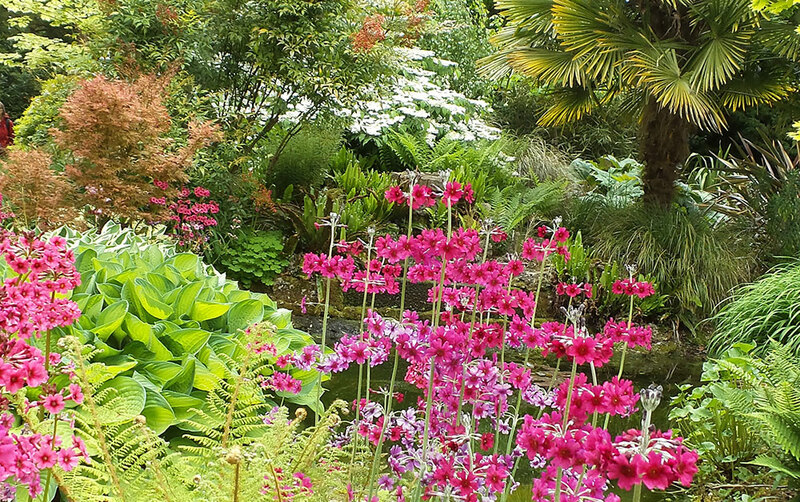 In many instances you may be transferring the problem to another gardener. Additionally the animal may not survive the relocation. If you feel that you cannot co-exist with the animal, then you may contact Maine Department of Inland Fisheries and Wildlife at www.maine.gov/ifw/ for a comprehensive list of licensed Animal Damage Control Agents. Having tried all of these eradication and harassment methods, I can detect that my woodchuck is still present. A 3-inch slab of cement has been poured in the basement and fences have been erected around all of the vegetable gardens. At present the gardens are safe and I have reluctantly decided to co-exist with the woodchuck. Ostrich fern fiddleheads. Photo by David Fuller. Fiddleheads, the unfurled fronds of the ostrich fern, are a nutritious spring treat that are harvested from wild ostrich ferns, Matteuccia struthiopteris. 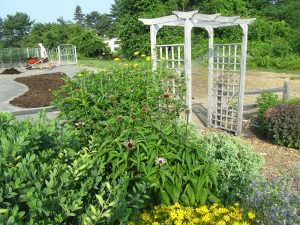 But there are good examples in Maine where folks have transplanted wild plants or bought young ferns to establish their own fiddlehead patch for an eventual harvest. 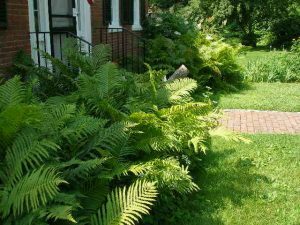 Ostrich ferns, an herbaceous perennial that can reach five feet in height, die back to the crown in the fall, and grow predominantly along river floodplains under the dappled-shade canopy of tall hardwood trees such as silver or red maple and brown ash. Conifers provide too much shade and ostrich ferns will not grow well, if at all, under them. Preferred soils of wild ostrich ferns are well-drained sandy loams with a high organic matter content with a pH range from 5.5 to 6.5. Although ostrich ferns may be temporarily covered by spring floods along streams and rivers, they do not like prolonged wet feet. Ostrich ferns will grow in full sun, but prefer part shade with protection from the wind. The north side of a house, for example, often provides a good spot to plant a patch of fiddleheads if you don’t own woodland to plant in. Ostrich ferns grown in house shade. In choosing a location to grow ostrich ferns, pick a spot that mimics ferns growing in the wild. Ostrich ferns grown in less than optimal conditions will not yield harvestable crops of fiddleheads. Ostrich fern planting stock is available from many nurseries. 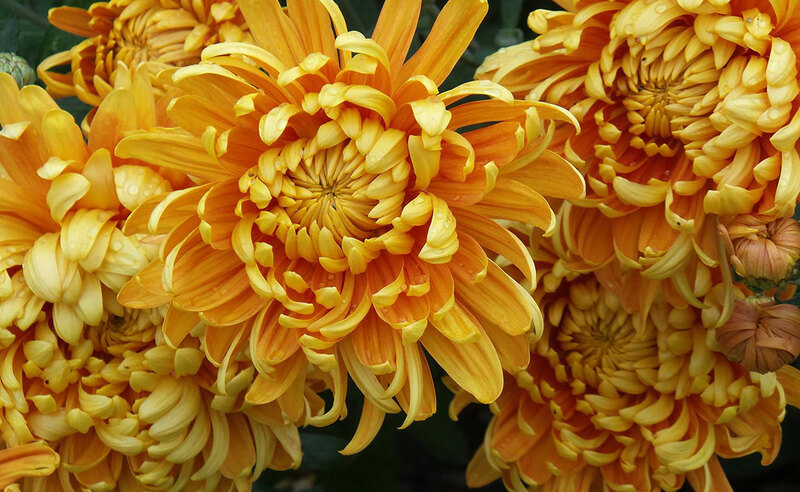 There are few improved varieties, with The King being one. Plants may also be dug from the wild, with permission, for transplanting. Dormant planting is best for plants from the wild, either in the spring or fall. Dormancy is signaled by the tops dying back. Dormancy in ferns occurs in the fall after a hard frost. Nursery plants can be planted anytime they are available. When transplanting wild ostrich ferns, choose plants that are young to middle age, which lack a brown, raised crown. Older ferns lack the vigor needed to produce good fiddlehead and rhizome growth. Don’t remove more than half of the wild stand. Ostrich ferns are assertive growers, spreading primarily by rhizomes. Plant them where you don’t mind them spreading. Plant the crowns about a foot apart and place them with the top of the crown buried to ground level. The planting soil can be amended to include about 25% compost, but don’t fertilize at planting time. Water the new plant in and give your new planting an inch of water a week, in the absence of equivalent rainfall, to get the plants established. After transplanting, spread an organic mulch around the plants to a depth of three inches to retain soil moisture and minimize weed competition. When the ferns are established, they will produce a canopy that will shade out competing vegetation. Nearby brush and small trees should be removed to reduce excessive lower-canopy shade. Fertilize in the spring with two tablespoons of 10-10-10 or the organic equivalent per square foot to promote good fern growth and better yields of fiddleheads. Fiddleheads from planted ostrich ferns should not be harvested for a period of three years to let the ferns get established. 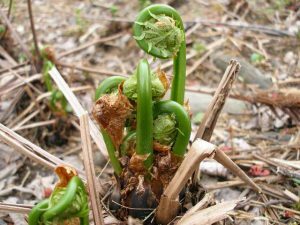 When fiddleheads emerge in the spring, no more than one-half of the emerged fiddleheads should be harvested, leaving all subsequent fiddleheads to grow into ferns to make photosynthetic reserves for the next year’s crop. For more information on fiddlehead identification, sustainable fiddlehead harvesting and safe cooking, refer to UMaine Extension publications Bulletin #4198, Facts on Fiddleheads and Bulletin #2540, Ostrich Fern Fiddleheads. It’s fact that a work of true art generates visual images as well as appreciation and even reverence for its own form. Proof: In one small corner of Elissa Gifford’s garden, there is a small forest of shining, flowered green and orange surrounding a sparkling bright blue body of water. The forest is Leucothoe frontenesiana ‘compacta’, Hakonechloa macro alboostriata, Astilbe ‘Deutschland’, Hakonechloa macra aureola, Deutzia gracilis, Deutzia crenata v. nakaniana ‘Nikko’, Pulsatilla vulgaris, Iberis sempervirens, and Campanula carpatrica. The water is Festuca glauca ‘Elijah blue’, which is backed by an Acer palmatum, also appropriately called ‘Orange Dream’. (Note: These Latin unpronouncibles fell effortlessly from Elissa’s tongue, then she generously spelled them). Elissa is a Cumberland County Master Gardener, and before that, an Indiana Master Gardener. Her gardening roots are extended; in fact, generational. The Secret Garden, Blenheim Palace, Woodstock, Oxfordshire, UK. “My mother lit the passion for gardening,” she said, “by taking me to some of the best-known gardens in the world, designed by famous landscapers of the 18th century, such as Lancelot Capability Brown, known for Blenheim; Christopher Lloyd, of East Sussex, and Rosemary Verey, who took Mother and me on a tour of her own garden in Kent. (Elissa explained that her father, opera baritone Clifford Woodbury Jr., didn’t join the two, because he was more than a little uncomfortable flying). “These 18th century designers and landscape architects were seen as important as any artists of the day,” she pointed out. Between ’85 and ’90, mother and daughter traveled to gardens in England, Ireland, and Wales. 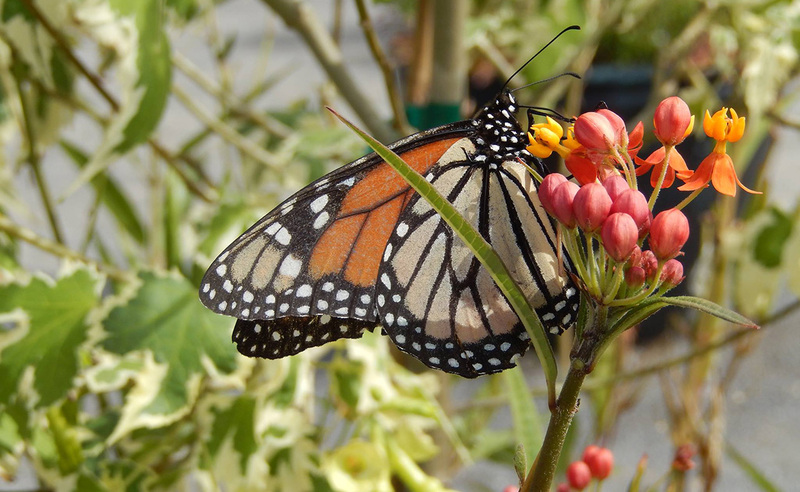 They also visited gardens in California, Texas, Arizona, and New Mexico. 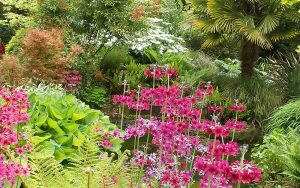 They toured gardens along the full length of the western shore of Lake Michigan, and California from Los Angeles to San Francisco. Elissa was impressed early on by the world-renowned Longwood Garden near her childhood home in Pennsylvania. But she was inspired by the Swarthmore College garden (PA) which, coincidently, was the garden that first inspired her mother, Ethel. 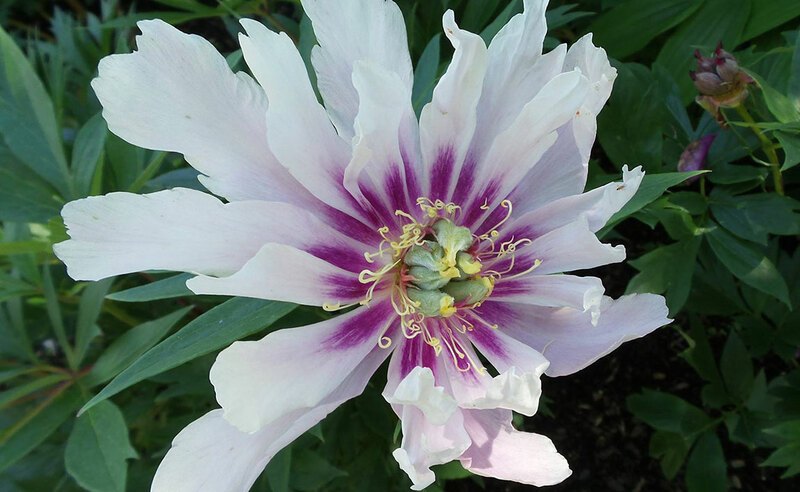 “Since then, the practice of serious gardening has taught me that putting my hands in the fertile soil for the purpose of positioning, then helping a plant to grow is a symbiotic act. It requires the earth and all of its invisible feeders to team with water, air, and us to create beauty and food to mutual benefit,” she said. 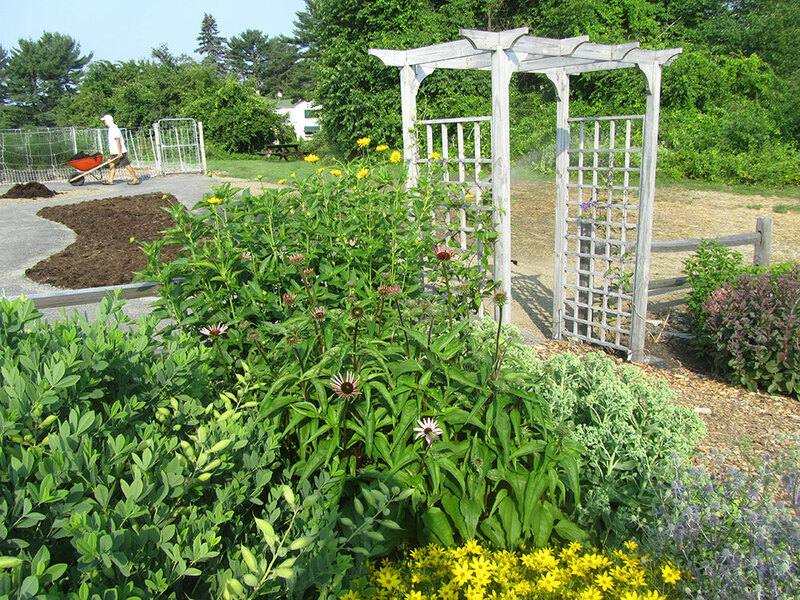 While Elissa’s gardens are largely floral, she works with Cumberland County Master Gardeners on the Tidewater Garden, which is a teaching venue that also produces food for needy Mainers. Her garden also produces tomatoes, squash, peppers, cucumbers, and a variety of herbs. 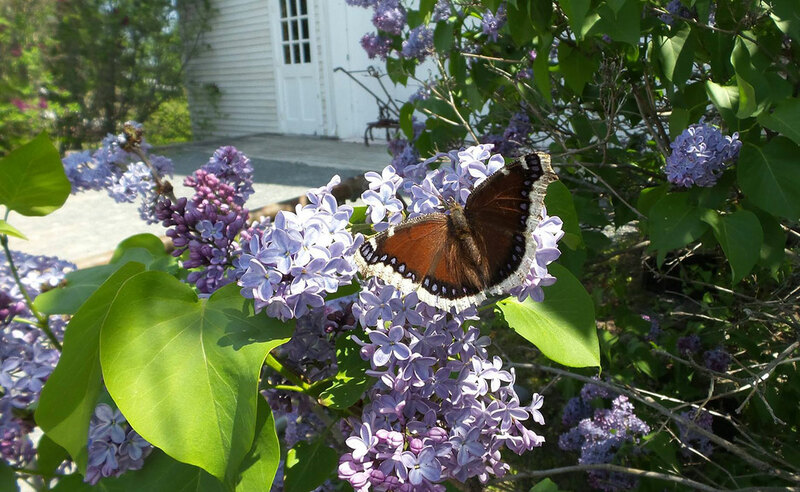 She is a member of the Cumberland County Master gardener Board. The pencil becomes unsteady as she rattles off the unspellable names, then borrows the pencil to spell them. Keep ripe tomatoes at room temperature; above 55 degrees Fahrenheit is recommended. Do not refrigerate under-ripe fruit. Tomatoes will ripen better out of sunlight. Once tomatoes are red and slightly soft, they will keep a day or two at room temperature. Refrigerate only if you want to keep them longer. For recipes using fresh tomatoes, see Bulletin #4178, Vegetables and Fruits for Health: Tomatoes and Choosing, Storing & Using Fresh Produce — Tomatoes. With tomato season upon us, it is important for home canners to know that to ensure the safety of whole, crushed or juiced tomatoes, additional acid is needed whether you process them in a boiling water bath or pressure canner. To ensure safe acidity in whole, crushed, or juiced tomatoes, add two tablespoons of bottled lemon juice or 1/2 teaspoon of citric acid per quart of tomatoes. For pints, use one tablespoon bottled lemon juice or 1/4 teaspoon citric acid. Add acid directly to the jars before filling with the product. Add sugar to offset acid taste, if desired. Four tablespoons of a 5 percent acidity vinegar per quart may be used instead of lemon juice or citric acid. See Bulletin #4085, Let’s Preserve: Tomatoes for more information. Freezing tomatoes is a simple and quick way to preserve them. If you are looking to amp up your intake of local foods, preserving is a skill to learn to help extend your access to local foods year round. Consider taking one of our hands-on food preservation workshops. Can I preserve tomatoes that have visible signs of late blight? No. Late blight is a common disease in tomatoes and potatoes caused by the fungus Phytophthora infestans. The USDA Complete Guide to Home Canning (1994 ed.) recommends that canners select only disease-free, preferably vine-ripened, firm tomatoes for canning. The reason for this recommendation is that fungus infestation may raise the pH of the tomato flesh to a level that makes it unsafe for canning. See Tomatoes and Potatoes Infected with Late Blight — Are They Safe for Canning? from Penn State Extension for more information to help home canners understand the issue of late blight and home food preservation.